Hamelex White's VersaBolt tipper trailer. MaxiTrans subsidiary Hamelex White has unveiled its new tipper trailer range, the VersaBolt, with a modular construction and two-way tailgate. 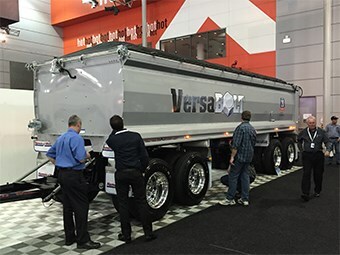 The trailer was recognised by Brisbane Truck Show Awards judges as 2015 Trailer of Show. Showing off a PBS pre-approved 4-axle dog model at the show last week, MaxiTrans’ general manager of tippers Craig Wallace says the new range were designed, after consultation with customers, to provide versatility and faster delivery times. "The VersaBolt name is derived from the words ‘versatile’ and ‘bolted’," Wallace says at the show. "The idea behind it is to give us the flexibility and versatility to be able to assemble in multiple locations around Australia." "We have three manufacturing sites and we have four key dealerships. 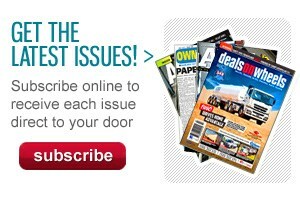 "The idea was that we could flat-pack it, modular, and send it to the dealerships, and then they can put it together. "From the assembly perspective, a tub, like [the 4 axle dog], you can actually put it together in a very short period of time, about half a day." "Compare that to the old process of welding. "Welding a tub, like this, will take about a day-and-a-half to two days to do." The speed of production comes from the ability to select the right flat-packed parts for the build. The floor, wall, tub base, front wall, rear frame and mudguards are then bolted together in-house and, according to the company, on the road in a matter of weeks. The bolted construction allows MaxiTrans to replace or repair parts individually, in an effort to reduce down time. 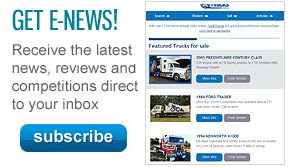 At present, dog trailers and rigid bodies are available but MaxiTrans says semi-tippers and aluminium options will be on offer in the near future. Hinges on the trailer have been hidden below the top rail, allowing for its tarp to slide without hindrance, and the integrated two-way tailgate can switch between side or top-hinged. "By engineering hinges beneath the top rail, the tarp can move smoothly all the way to the back of the trailer without obstruction," Wallace says. "While the two-way tailgate enhances the VersaBolt’s versatility and possesses an added safety benefit in that it can be operated from a secure position beside the trailer." 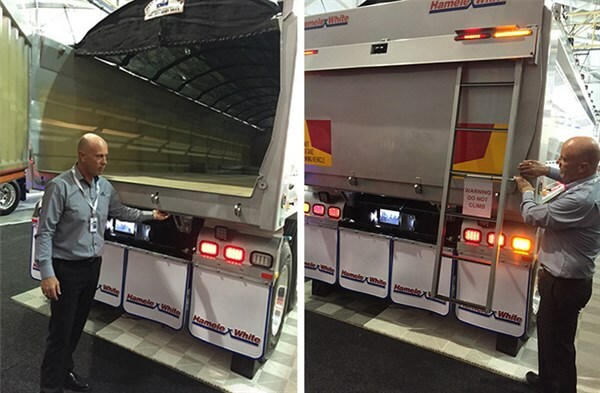 MaxiTrans says it has designed a mechanism in the tail post to allow operators to adjust the alignment of the heavy rear-end of the trailer and has also prototyped a releasable ladder that swings down across the back of the trailer to provide access to the trailers contents when the tailgate is closed.